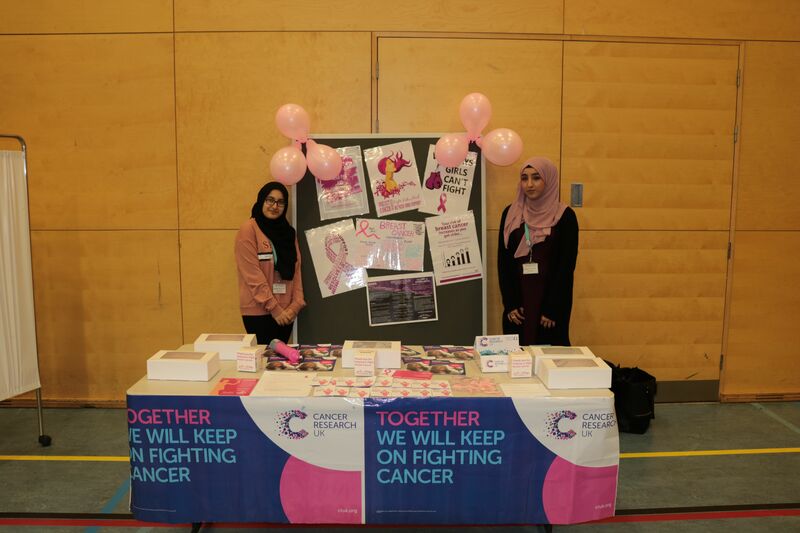 March 25th marked the start of Joseph Chamberlain College’s annual Health Awareness Week. 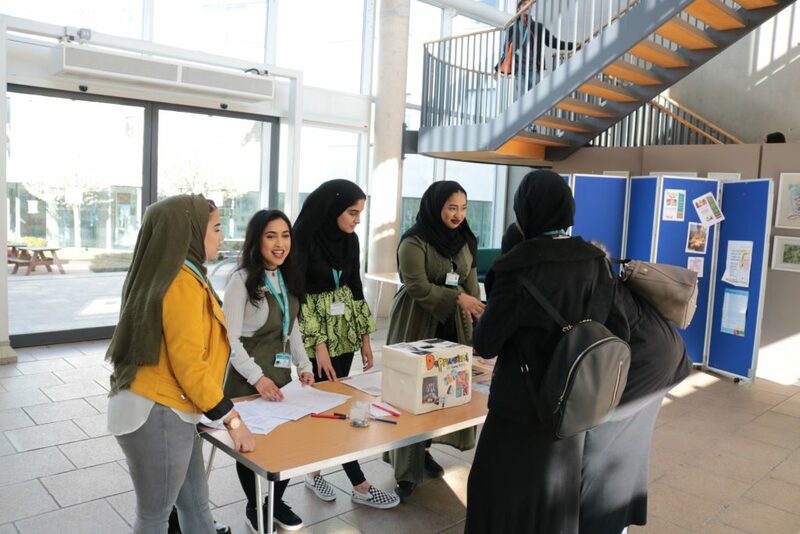 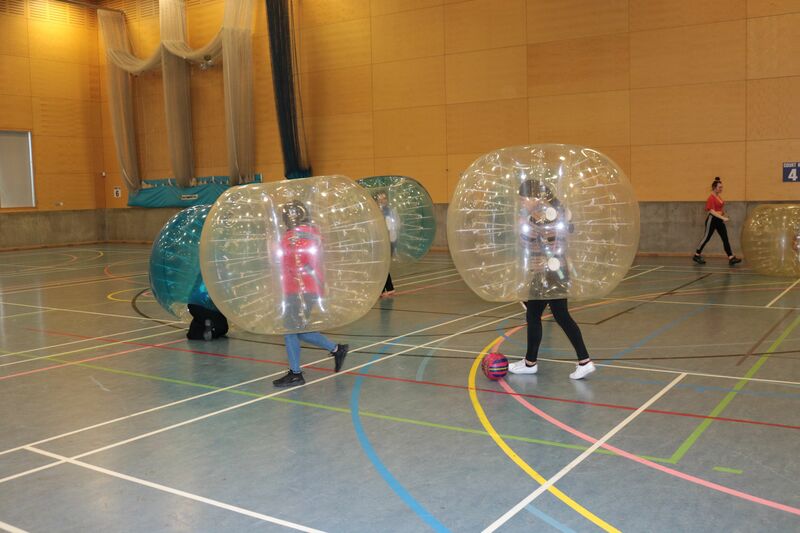 This year the College put on a range of events with a focus on tackling inactivity, first aid and encouraging girls to get involved in sports. 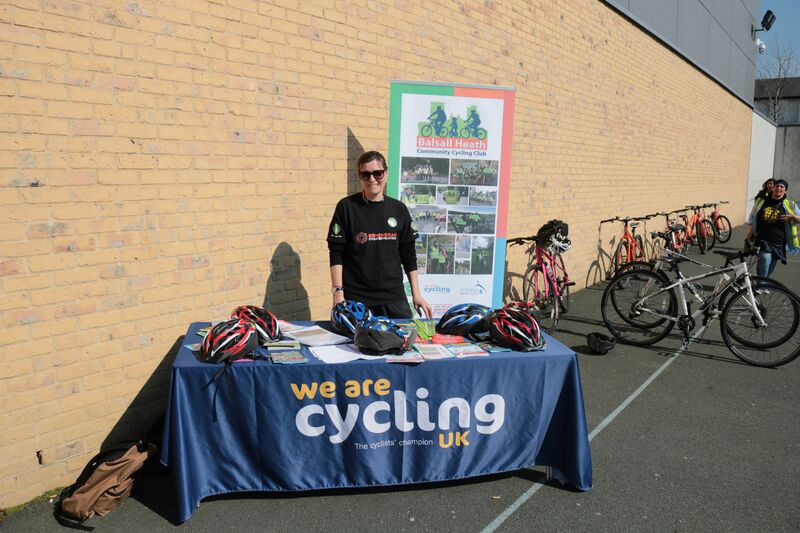 Cycling UK and Birmingham Cycle Revolution lead Bikability training on the MUGA and some of our female students learnt to ride a bike for the first time. 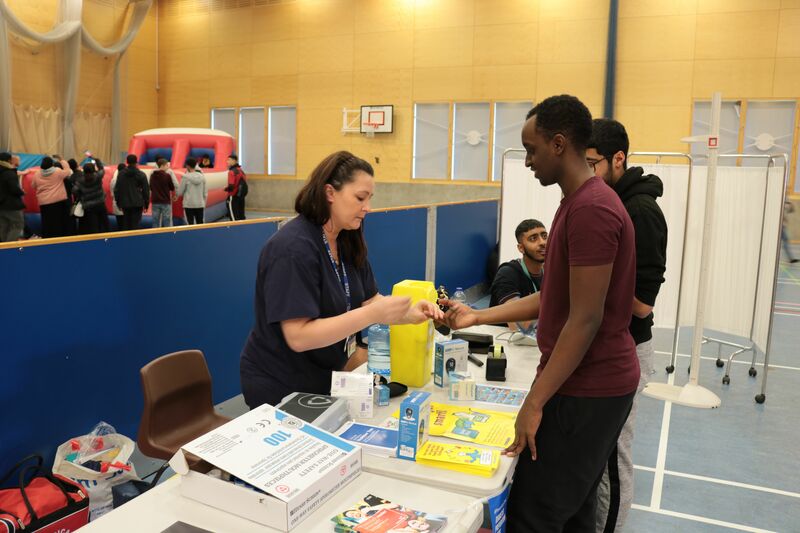 Street Doctors also spent two days at College giving first aid training for puncture wounds and road traffic casualties. 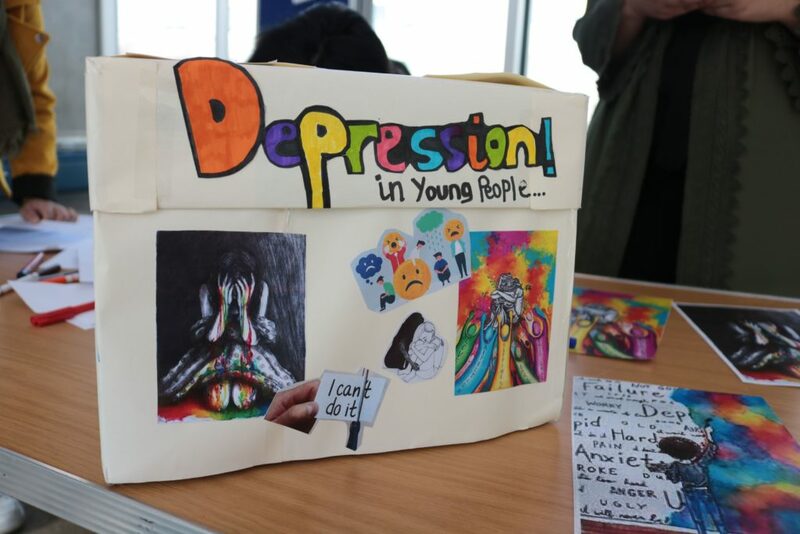 Students then met the team from Umbrella to discuss the importance of sexual health. 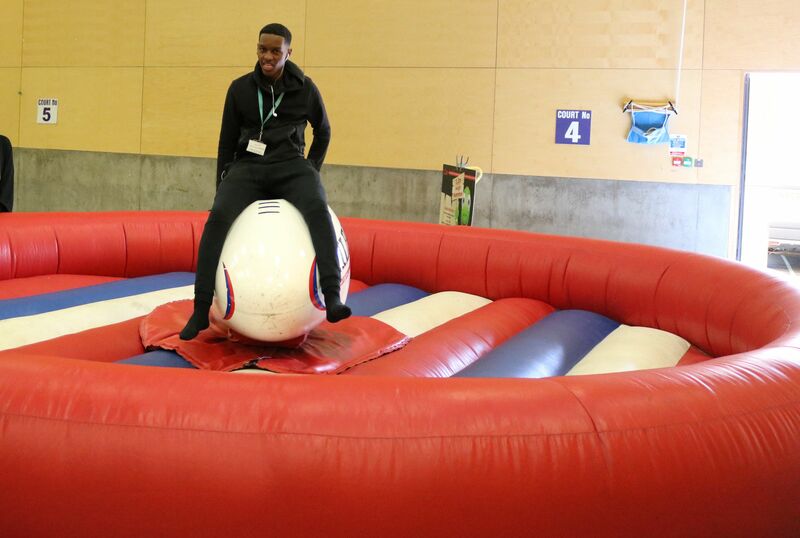 The most popular event of the week involved inflatable fun, where students tested their balance and strength on the mechanical rodeo bull, bungee run and soccer zorbing. 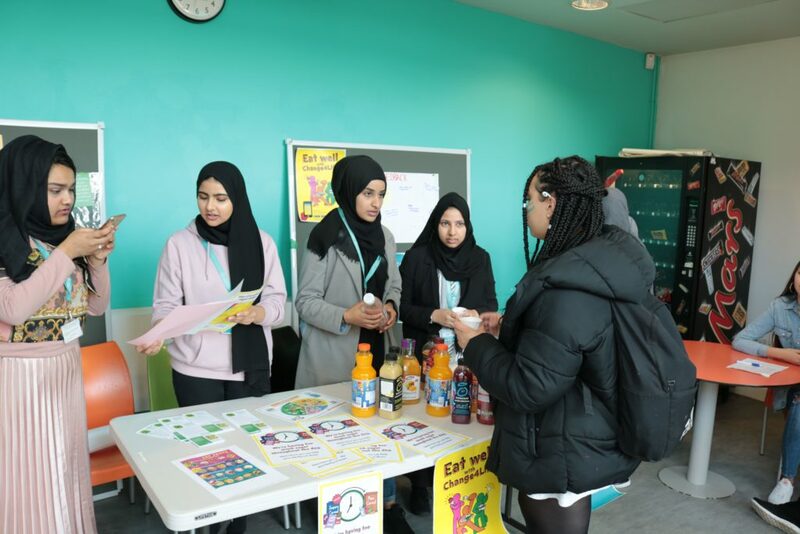 Finally, our College nurse, Loretta, tested blood sugar levels and discussed how students can integrate more activity into their lives. 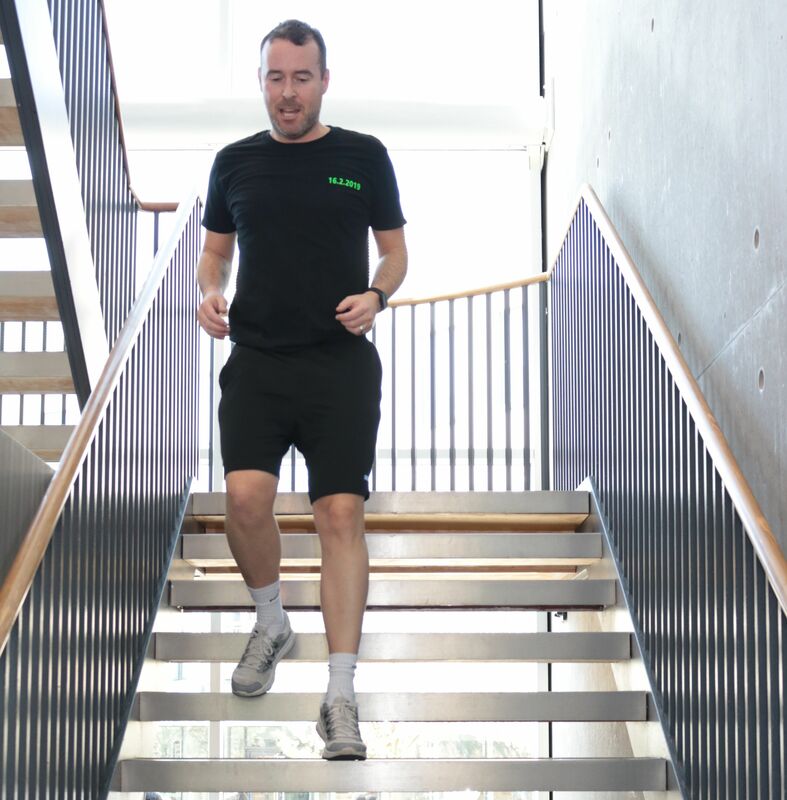 Throughout the month, English teacher Patrick has been undertaking a 10K a day step challenge. To mark the end of the challenge, he spent his lunch break running up and down the Atrium stairs while spectators donated £1 to Cancer Research to guess the total of steps after 30 minutes – the total was 4266! Thank you to all of our visitors and staff, and to our students for joining in with the week, improving your health and raising money for Cancer Research UK!